The larger arts industry contributed $764bn to the US economy—more than agriculture or transportation—according to data gathered by the US Bureau of Economic Analysis. A study released in 2018 by the American Alliance of Museums (AAM), using information from the Bureau of Labor Statistics, states that arts institutions support 726,000 jobs in the US and directly employ 372,100 people—more than double that of the professional sports industry. The AAM’s report also showed that US museums generate more than $12bn per year in tax revenue to federal, state and local governments. Surveys conducted by Americans for the Arts found that each art event attendee spent around $31.47, on top of admission costs, which equated to an estimated $102.5bn in additional spending during 2015 (the year of its most recent surveys). “What this shows is that when we invest in the arts, we’re not investing in a frill but in an industry that draws to the community people who spend money there, and it keeps our neighbours and their hard-earned discretionary dollars right there in town,” Cohen says. One recent example is the hugely popular touring exhibition Yayoi Kusama: Infinity Mirrors, which quickly became a “city phenomenon” when it first opened at the Hirshhorn Museum and Sculpture Garden in Washington, DC, in 2017, according to the organising institution’s director Melissa Chiu. 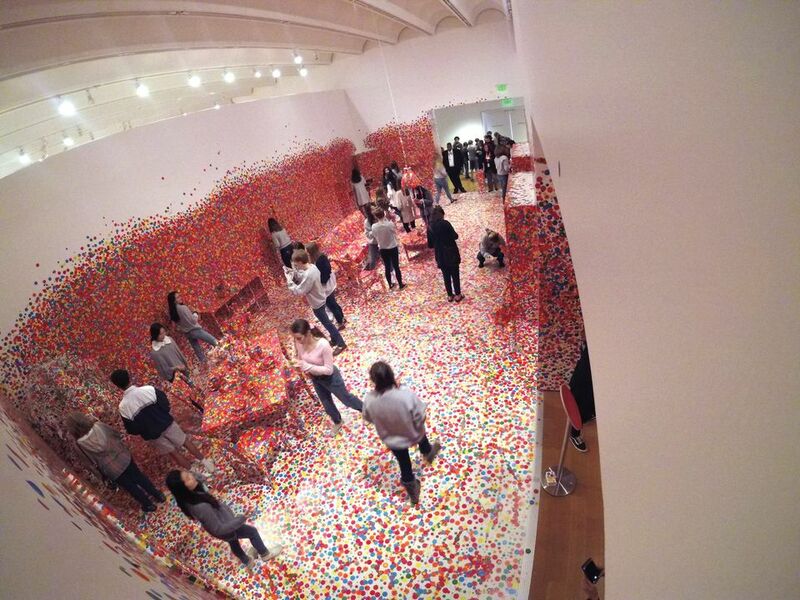 Kusama’s work “attracted visitors that had never come to the museum before” and “had a lasting effect on public awareness of the museum”, Chiu says. The exhibition also created jobs and generated extra revenue in many of the cities it later travelled to. The show contributed $5.5m to the Cuyahoga County economy when it was shown at the Cleveland Museum of Art (9 July-30 September 2018), according to a study by the local research firm Kleinhenz & Associates. The museum hired 120 extra employees for visitors’ services and other exhibition-related work, and while most were temporary, some stayed on to support other exhibitions, a spokeswoman says. Similarly, the High Museum of Art in Atlanta held a special job fair to hire 60 part-time, temporary workers in guest relations, the museum shop and other administrative positions when it hosted the show (18 November-17 February 2019), and six people hired for those positions have since been offered permanent spots. “The Kusama exhibition provided an opportunity for these individuals to get their foot in the door and prove themselves,” the museum said in a statement. The High sold 136,000 timed tickets to the exhibition, with at least 11,000 going to out of state visitors. “Anecdotally we have heard that many of the remaining tickets purchased by Georgia residents were extended to friends visiting from out of town,” according to the museum’s statement. The Denver Art Museum is expecting equally large crowds for its forthcoming survey of Monet (Claude Monet: the Truth of Nature; 21 October-2 February 2020), especially as it is the only US venue for the exhibition. Based on previous blockbusters such as Star Wars and the Power of Costume (2017), which attracted 872,000 people, 30% from outside the city, a spokeswoman says “more than anything the hope is this will be a fantastic experience for visitors from Colorado and beyond”. These exhibitions are “absolutely the kind of experiences that travellers will build a trip around”, Cohen says.